The detailed study of how chemistry, fire science, and engineering disciplines of fluid mechanics and heat transfer interact to influence fire behavior. Define and explain basic fire chemistry terminology. Define and explain the behavior of fire. Define and explain the modes of heat transfer. 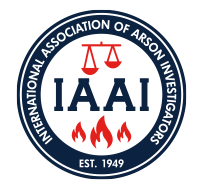 Program topics include: NFPA 921, NFPA 1033, Fire, Fuels, Oxygen, Temperature, Heat, Combustion, Flame, Ignition, Fire Development & Decay, Ventilation, Fire Growth, and Fire Modeling.